If you want to experience Hawaii like a local, you need to know exactly where to try the best local dishes. Going somewhere new for the first time can be overwhelming, but worry no more! We have put together a list of the best spots where locals eat on Maui. From cream puffs and lima Manju to delicious Lomi salmon, you can experience all the culinary treasures Hawaii has to offer! Take some time and try one specialty a day; it’s easy once you the best spots where locals eat on Maui. Start packing and get your appetite ready! Discover even more local places on Maui when you request our free Vacation Guide! With gourmet restaurants, food trucks, breathtaking beaches, and fun events, there is so much for you to enjoy. Have an authentic Hawaiian vacation and explore the best spots where locals eat on Maui. Sam Sato’s Noodles and Plate Lunches is amongst the best restaurants on the island. Operated by the same family since 1933, this eatery offers locals a comforting and authentic place to gather, while giving curious tourists a true taste of Maui. On top of being delicious, Sam Sato’s is inexpensive and can satisfy the entire family. Stop in for breakfast or lunch and indulge in specialties like omelets, noodle bowls, teriyaki beef sticks, chow fun, and the famous dry noodles. It’s simple: when you are on Maui, you have to eat here. Opened in 1916, T. Komoda Store and Bakery is one of the oldest shops on the island. It’s always provided locals with the best donuts! Take a day trip to historic Makawao Town and taste this timeless classic for yourself. Make sure you try the glazed stick donuts, chocolate and vanilla cream doughnuts, and the guava malasadas! Geste Shrimp Truck is an absolute must-see for any seafood lover out there! Voted the best food truck on the island two years in a row, no Hawaiian vacation is complete without a trip to Geste. Taste their Hawaiian scampi plate, comprised of 12 garlic shrimp, crab mac salad, and a scoop of rice. You can even add some spicy pineapple sauce or lemon pepper seasoning! The truck is located on Kahului Beach Road and is opened Tuesday through Saturday. If you need a break from the beach, head over to Grandma’s Maui Coffee. It was opened in 1918 and has been run by the same family runs today. It is the ultimate local meeting place! Enjoy a cup of espresso with a stunning view of the Upcountry from the terrace and discover daily specials like spinach lasagna, paniolo pork chops, and homemade waffles. The entire island of Maui flocks to Ulupalakua Ranch Store and Grill for lunch! It’s been owned by the same family since 1963 and has become a real food destination. Stop there on your way to Ulupalakua Winery and witness some jaw-dropping landscape as you go through the hills of Kula and Keokea. Make sure you order the elk burger, a local favorite. 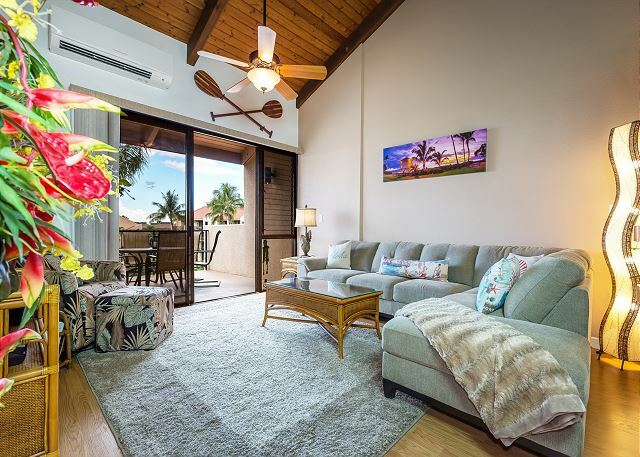 After tasting some of the best local foods in Maui, come back to a comfortable vacation rental from PMI Maui. 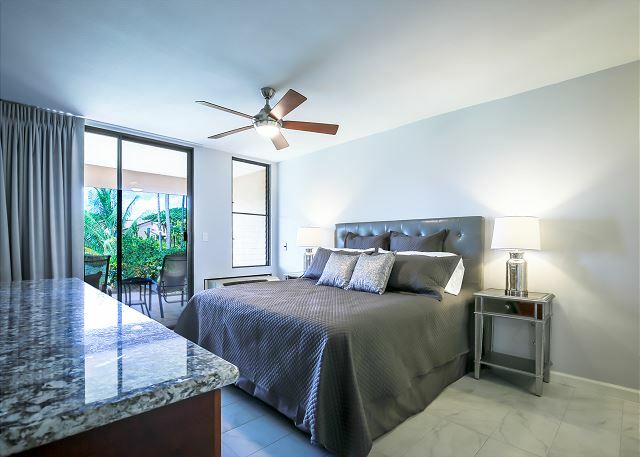 We offer unique, modern condos that will make you feel right at home! 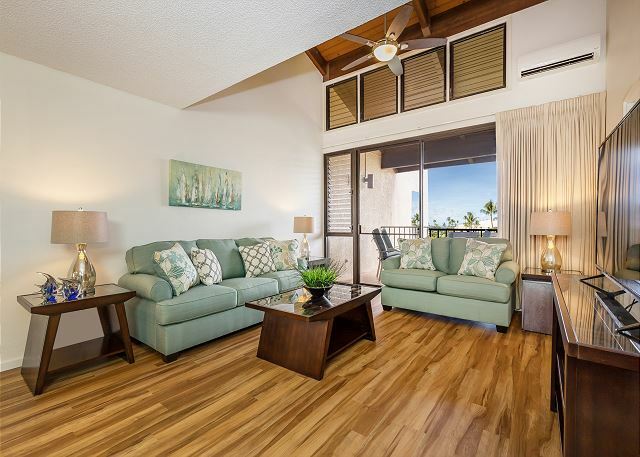 Book our Kamaole Sands 5-405 unit and enjoy a spacious three-bedroom rental. Relax in a peaceful atmosphere, sleep in a gorgeous king bed, and admire the ocean from your balcony. 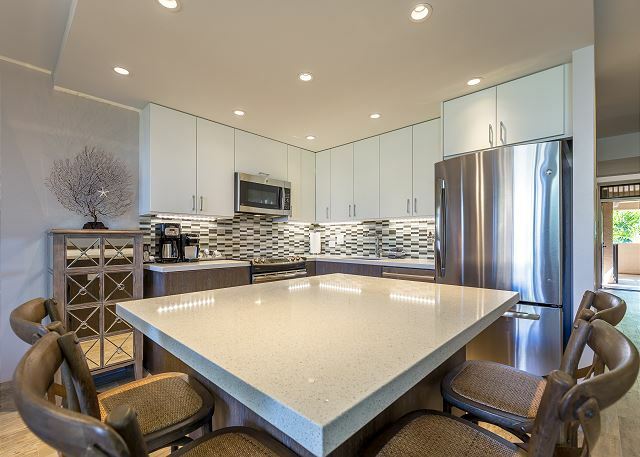 You can even hit some balls at the tennis court or cook yourself a nice dinner in the fully-equipped kitchen. A washing machine and dryer are at your disposal.